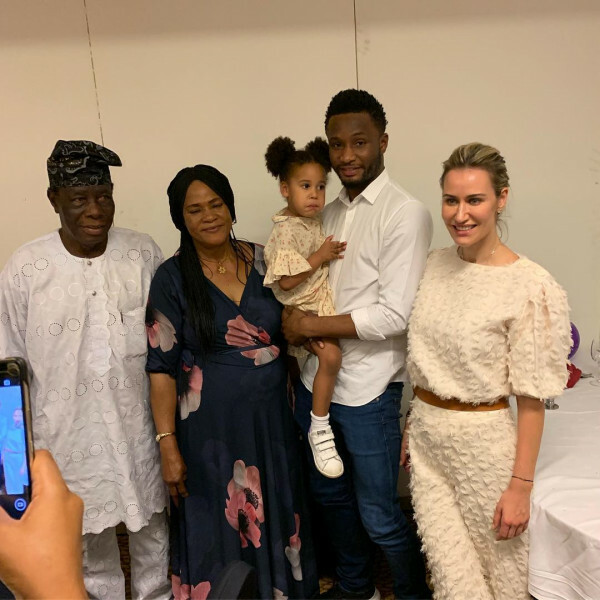 Footballer Mikel Obi is in Nigeria with the family – his wife Olga Diyachenko and his twin daughters Ava and Mia. Mikel’s been keeping us updated on his Instagram, sharing photos of the girls meeting their grandparents and a video of one of the girls unleashing the drummer in her. “Fatherland. Mimi, drumming like a pro ♥️,” he captioned the video of his cute daughter drumming along with a live band.